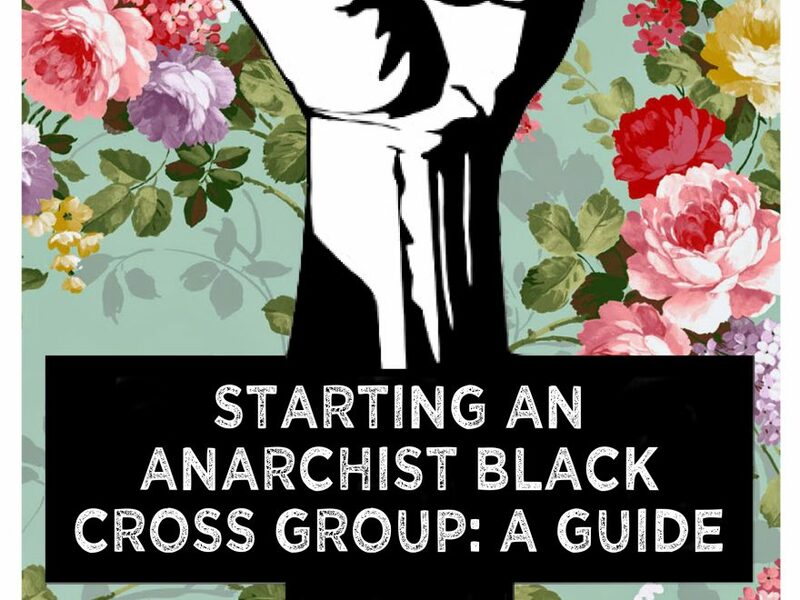 Starting an Anarchist Black Cross Group: A Guide is an excellent zine on what Anarchist Black Cross is and how to start your own group. This zine is a resource for anyone wanting to start an Anarchist Black Cross group. It was a collective effort of people from various ABC groups across Europe. We hope you find it inspiring and useful. The past several decades we have witnessed various forms of crisis emerging all over the globe and while resisting and fighting back, we as anarchists are paying close attention to the changing patterns and tactics of state repression. To save the status quo and powers-that be they divide and rule. They co-opt struggles and pacify subversive movements. Meanwhile, we are striving to break free. We need to destroy all the prisons, and free all the prisoners. Our position is an abolitionist stance against the state and it’s prisons. Of course, the only easy solutions to such a complex problem like prisons are the false solutions. But abolition is not a simple answer nor an easy solution. It is a long way to go. That is why exactly we are talking about the Anarchist Black Cross and not liberal, statist or reformist ways of organising. Our tactics are based upon sharing and solidarity, not charity. More than ever, it is critically important to share the knowledge and organisational tips with people that want to take action. Read or download the full zine here and check out our resources section for more reading material.